ETERNAL: ZACHARY’S STORY by Cynthia Leitich Smith, illustrated by Ming Doyle (Candlewick, 2013). 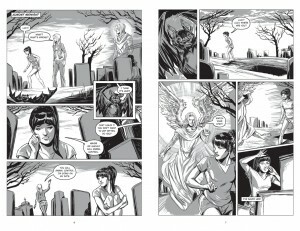 Reckless guardian angel Zachary has an unusual assignment. He’s meant to save the soul of Miranda, high-school theater wannabe turned glamorous royal vampire. Completely devoted to Miranda, Zachary takes his demotion to human form in stride, taking a job as the princess’s personal assistant. Of course, this means he has to balance his soul-saving efforts with planning the Master’s fast-approaching Deathday gala. Vivid illustrations by Ming Doyle elevate this darkly funny love story to a new dramatic level with bold black-and-white panels. 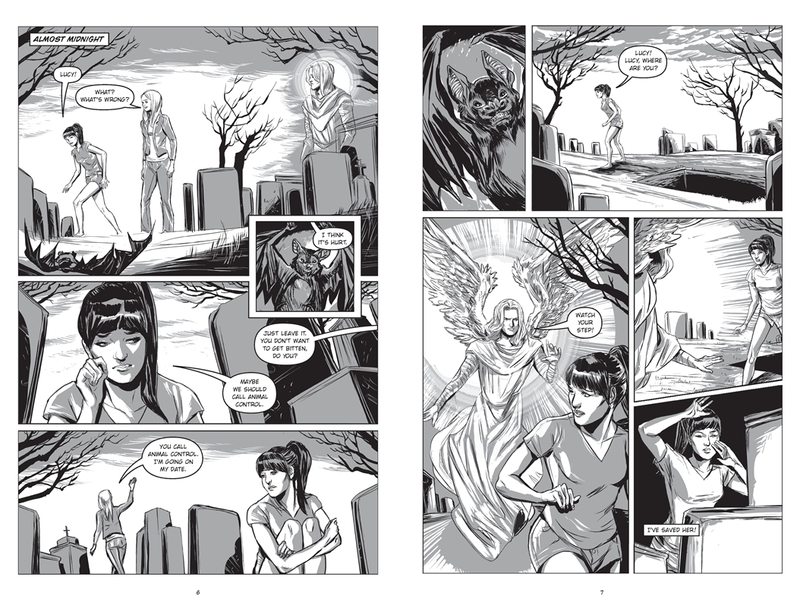 Cynthia Leitich Smith’s New York Times bestseller is re-imagined as a graphic novel seen through the eyes of Zachary, teenage guardian angel. 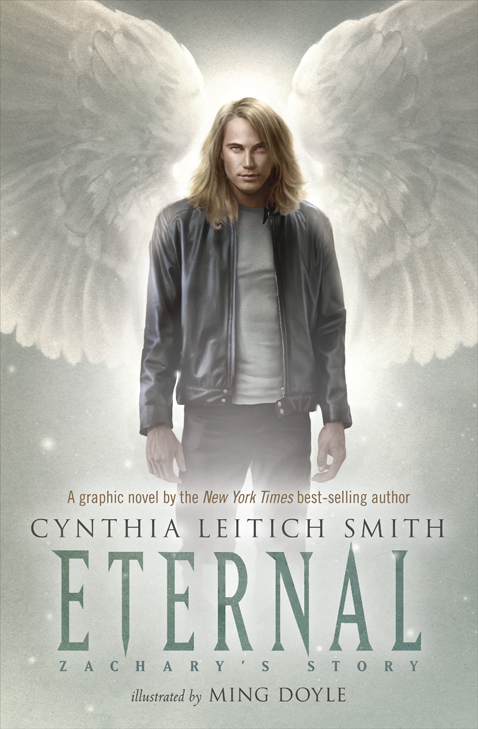 Order ETERNAL: ZACHARY’S STORY by Cynthia Leitich Smith. 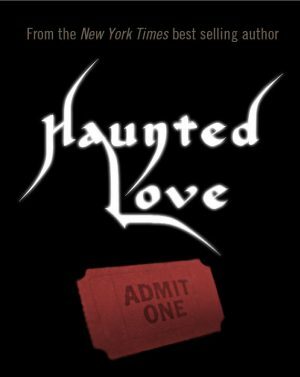 Learn more about TANTALIZE (Book 1)(Candlewick, 2007), ETERNAL (Book 2)(Candlewick, 2009), BLESSED (Book 3)(Candlewick, 2011), DIABOLICAL (Book 4)(Candlewick, 2012) and the tie-in graphic novels TANTALIZE: KIEREN’S STORY, illustrated by Ming Doyle (Candlewick, 2011) and ETERNAL: ZACHARY’S STORY, illustrated by Ming Doyle (Candlewick, 2013). 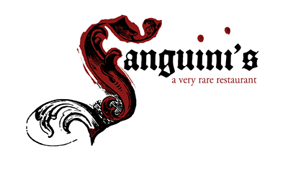 SEE ALSO the spin-off FERAL trilogy (Candlewick, 2013-2015).